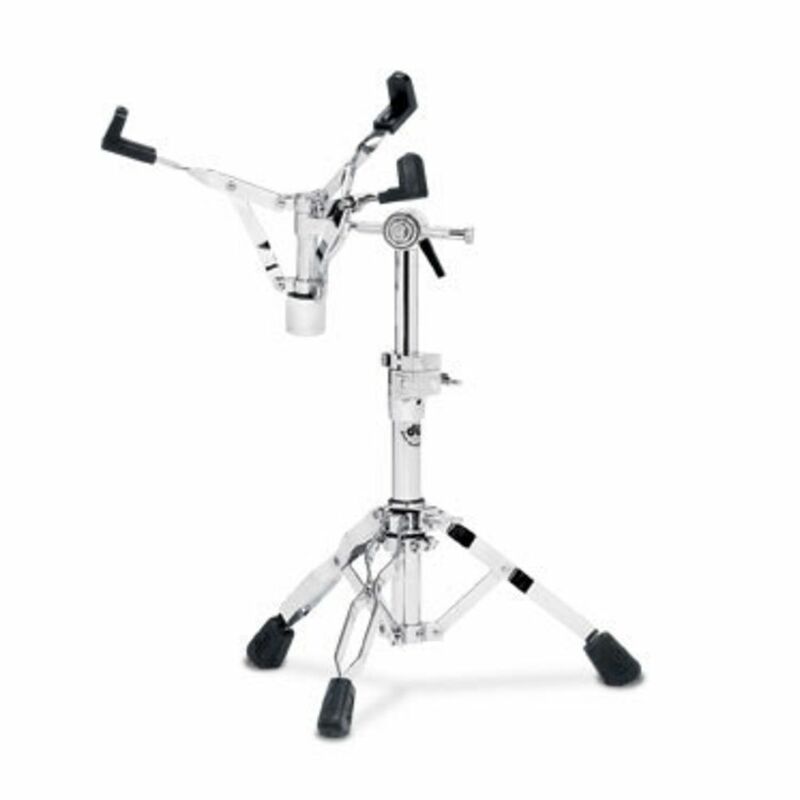 The DW 9300 Snare Stand is a heavy gauge stand which delivers technology and performance to satisfy and exceed the demands of the modern professional drummer. The 9300 Snare Drum Stand from DW is specifically designed with a double pedal set up in mind, the only snare stand on the market to do so. The offset basket design allows for optimal snare positioning whilst remaining balanced, and the snare basket knob can be easily reversed allowing for a much more closed position for smaller size drums. The Snare angle of the 9000 series can be locked tight with the large reset handle and then double locked with the TechLock technology. The snare basket itself can be easily removed for quick change over of snare and drums and the plastic sleeve insulators and hinged memory locks offer exception isolation from unwanted noise and ease of use, setting your drum in the same position time after time, gig after gig. DW ‘s 9000 series really is at the pinnacle of drum hardware, offering drummers cutting edge technology, incredible heavy duty build quality and innovative design and feature set.